Holy Smokes! How is it the end of July already? Every year it seems the summer flies by faster and faster. 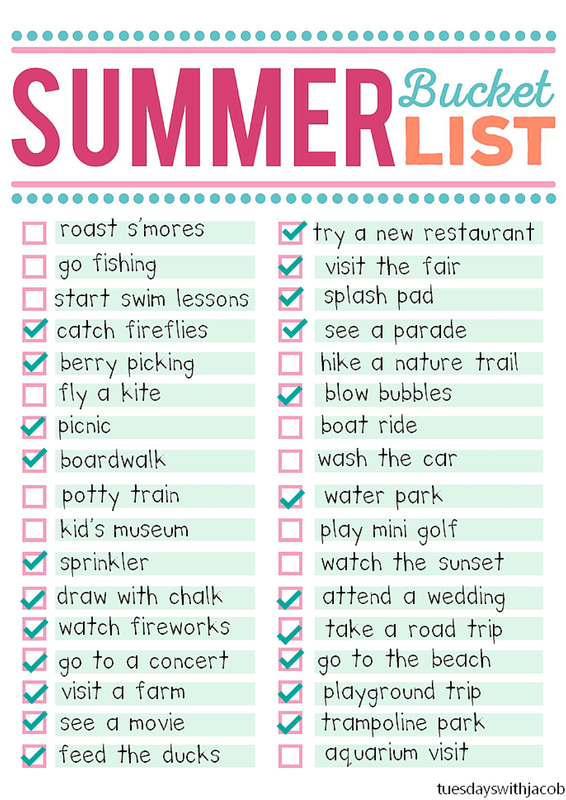 This is the very reason I put into action a bucket list plan at the beginning of the summer. The boardwalk is always one of our favorite stops when we visit New Jersey. We hit up the one in Ocean City for rides, and lots of yummy food like french fries, Kohr's ice cream, and Johnsons' Popcorn! We've actually tried a few new restaurants including Wonder Bar in Atlantic City, which is right by the bay and the bridge! Jacob really liked their macaroni! We went to the 4th of July Parade in downtown Plymouth while we were in Michigan. Jacob LOVES parades, especially the fire trucks! We went to the water park one morning before nap where Jacob was happy to ride around the lazy river on our laps, go down the kiddie slide, and splash around the playground. If you read my post here you already know all the details about Jacob's Uncle Jared's wedding! We road tripped to the above mentioned wedding in Indiana and it went pretty well thanks to naptime and the portable DVD player we thought to grab right before we left! For people who live in Florida, we truly don't go to the beach that often. In the summer it's super hot and the sand will burn your feet if you aren't careful. 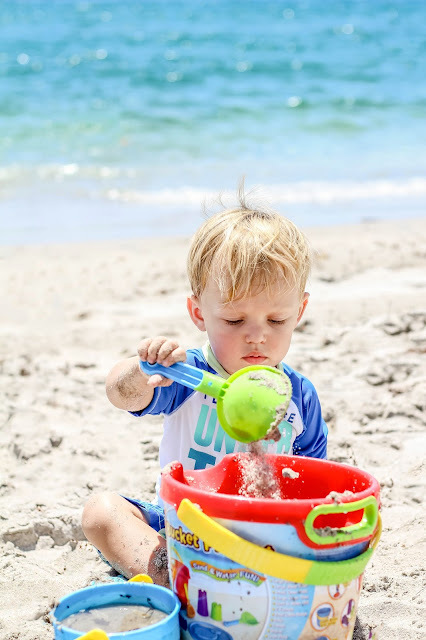 We did make one trip since returning home with Jacob's Mimi and he had a blast splashing in the water and playing with the sand. Back in Michigan I took Jacob to the trampoline park for Toddler Time. He was the only toddler there but he had a blast with the instructor playing with the ball and learning to bounce without falling down. He especially likes to sit on the trampoline while an adult bounces him up and down. We've continued to live life unscheduled. 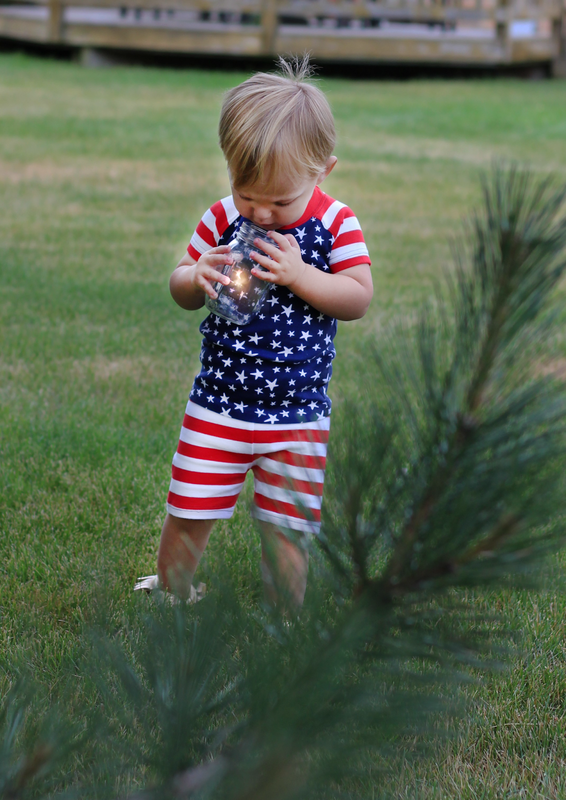 Going for runs in the morning, swimming, baking, playing in the yard, meeting up with friends on a whim, stopping to watch construction crews because we don't have anywhere else to be, and just spending lots of time together. I miss this time during the year when I'm working. We really only have a week of summer left, but we're about to check off quite a few of the remaining boxes in the next few days here! 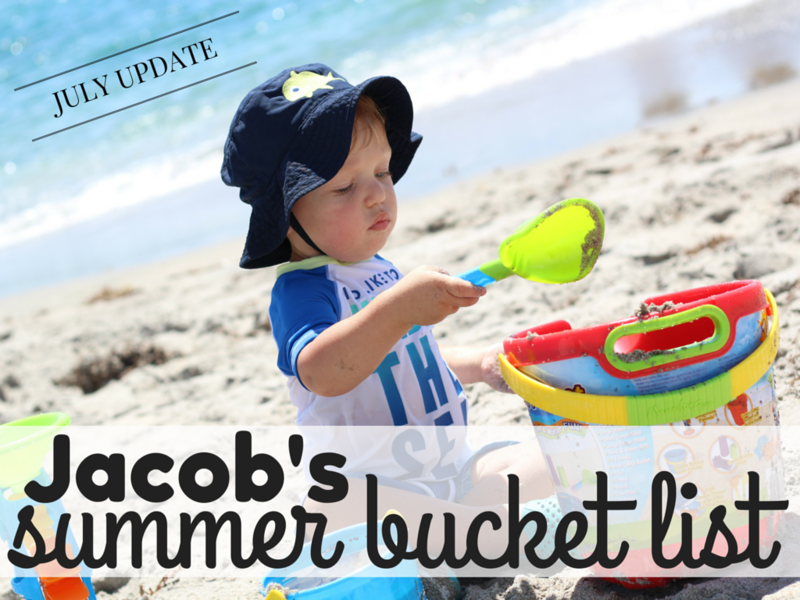 6 comments on "Summer Bucket List: July Update"
Looks like a really fun summer! The beach pictures are so cute! Looks like you all had a fabulous summer! I am a huge fan of summer berry picking! 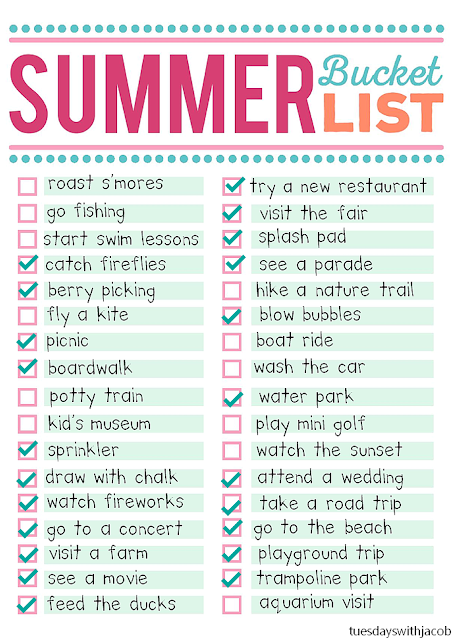 I love this list! I know I'm one to always get in the rut of being stuck doing the same thing all the time. Pinned for later! Love that you are keeping track of his bucket list. Aww such a great list! I've done a bunch of these but I am looking forward to my sisters wedding in a couple of weeks and watching the sunset with my little ones once the nights start rolling in a bit earlier.